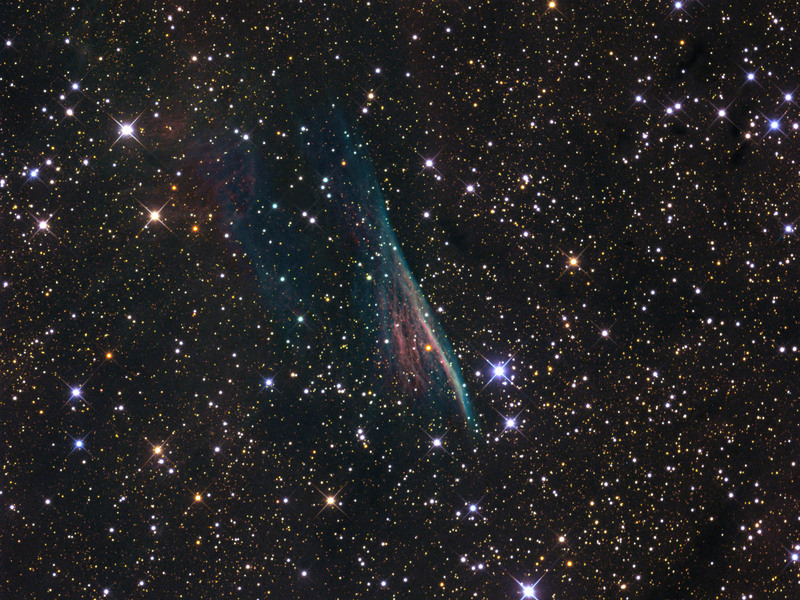 NGC 2736, also known as the Pencil Nebula or RCW 37 is a part of the supernova remnant visible in the constellation of Vela. It was discovered by John Herschel in 1835 at the Cape of Good Hope. It is situated in the eastern part of the constellation, about 5 ° to the SSW of the star γ Velorum. Its tenuous nebulosity is indistinguishable from that of the south-eastern edge of the Gum Nebula and the delicate filaments of the Vela Supernova remnants. 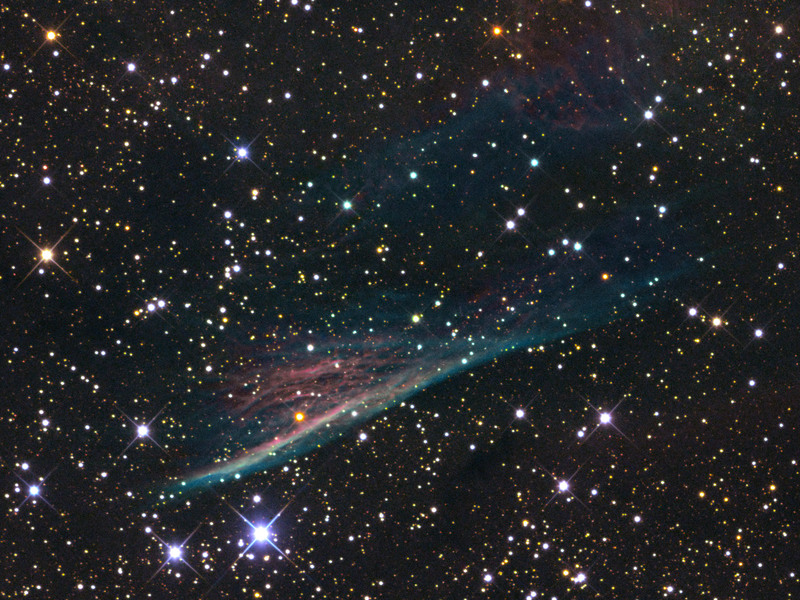 Lying at a distance of about 250 parsecs (815 light years) , it falls in the same galactic environment as the Vela nebula, of which probably the Pencil Nebula constitutes the most eastern part. It is a filamentary and very soft structure , which moves in space from west to east at a speed of about 644,000 km / h .This large expansion rate has suggested a correlation with another, more recently supernova explosion, the rest of which is known as RX J0852.0 - 4622. This explosion occurred within of the well known remnant which constitutes the Vela nebula, and a part of the ejected material from this second explosion has reached the outer edge of the expanding bubble generated by the previous explosion. This generates the observable nebula formation.